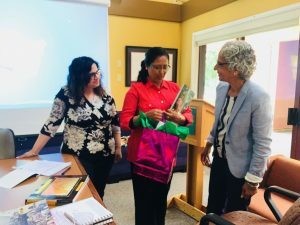 Dr. Renu Modi, Associate Professor and former Director, Centre for African Studies, University of Mumbai, India visited the South Asian Studies Institute on May 28th, 2018 to speak about the gendered perspectives on the Indian diaspora in East Africa. 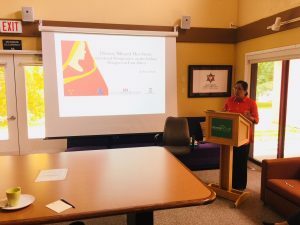 Dr. Modi gave a very well received talk on: History Missed Her Story: Gendered Perspectives on the Indian Diaspora in East Africa. 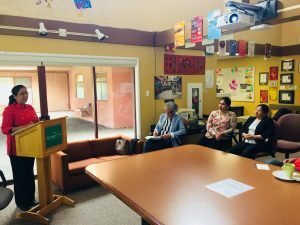 The presentation highlighted the role of women who immigrated with their entrepreneurial husbands and families to East Africa in the late 19th and early 20th century. 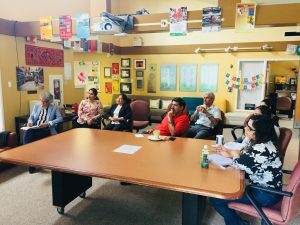 Through a study of select auto-biographical writings by Asian businessmen, her research showcased the relentless determination of these entrepreneurs and their endeavors to achieve business goals and thus make visible the positive role of Asians in the economic development of East Africa. She suggested that by limiting the description of the lived experiences of emigrant women to the confines of their domestic spaces, history has missed out on the women’s stores. 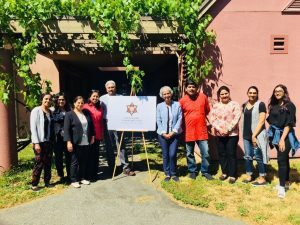 This presentation suggested that by relegating women’s role within the family, the male historiographies render the experiences of immigrant Indian women as invisible and insignificant. The talk was well received by those in attendance and provoked thoughtful discussion.